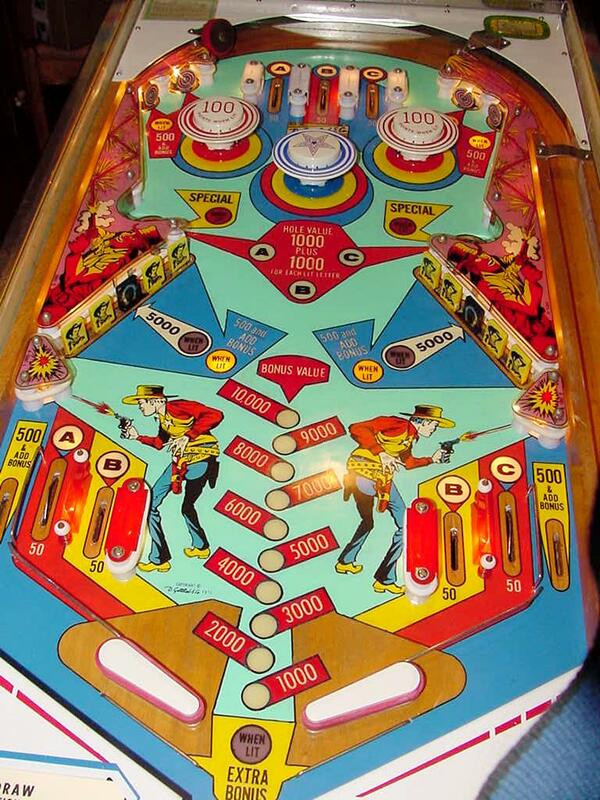 Description: Gottlieb Fast Draw pinball. 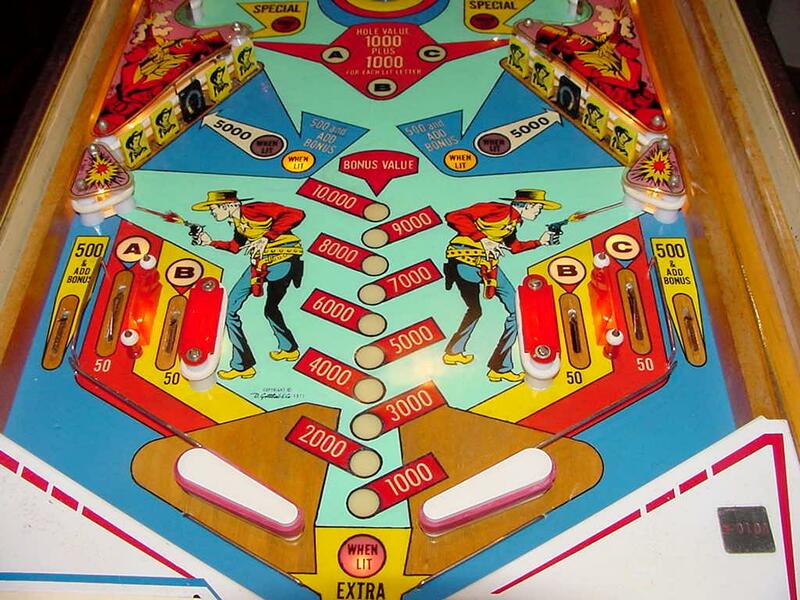 Same game as Gottlieb Quick Draw pinball, just different number of players (4 players versus 2 players). 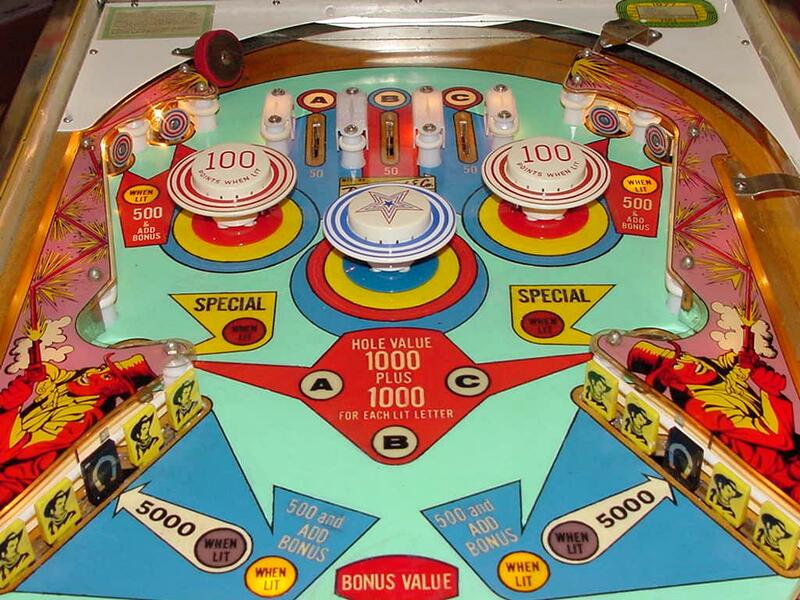 Gottlieb sold this game design in the two flavors, though they are essentially the exact same game (with slight artwork differences). 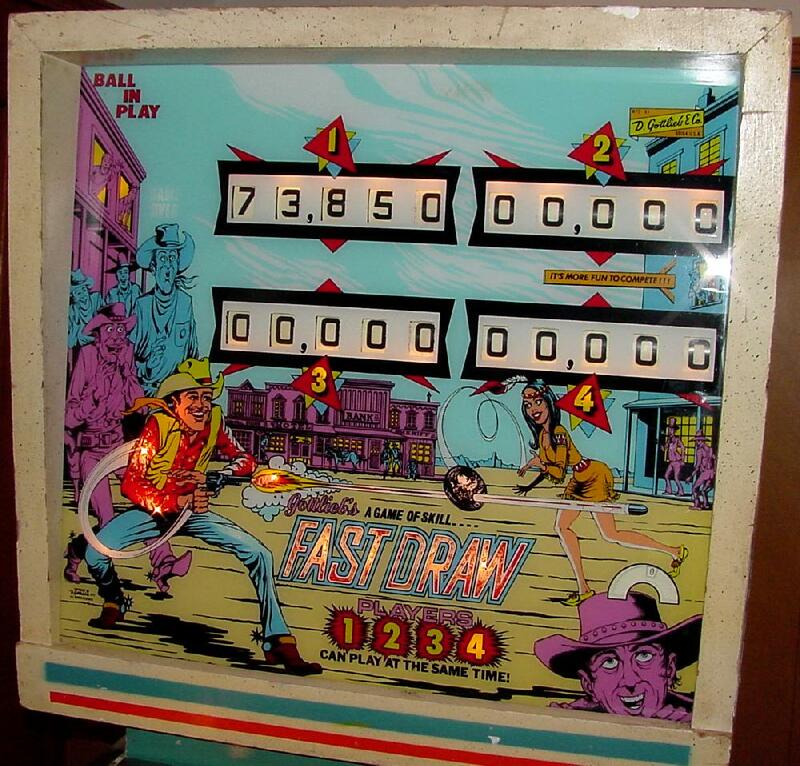 The 2 player version (QuickDraw) had a lower price than the 4 player (FastDraw), and was marketed to game operators with less money to spend. Two banks of 5 drop targets, with two kickout holes above the drop targets. Three pop bumpers, no slingshots, and two 3" flippers. After knocking down all the drop targets, just the center black drop target comes up for 5000 points. A good game design (though no slingshots). Score card is available in Photoshop format here. 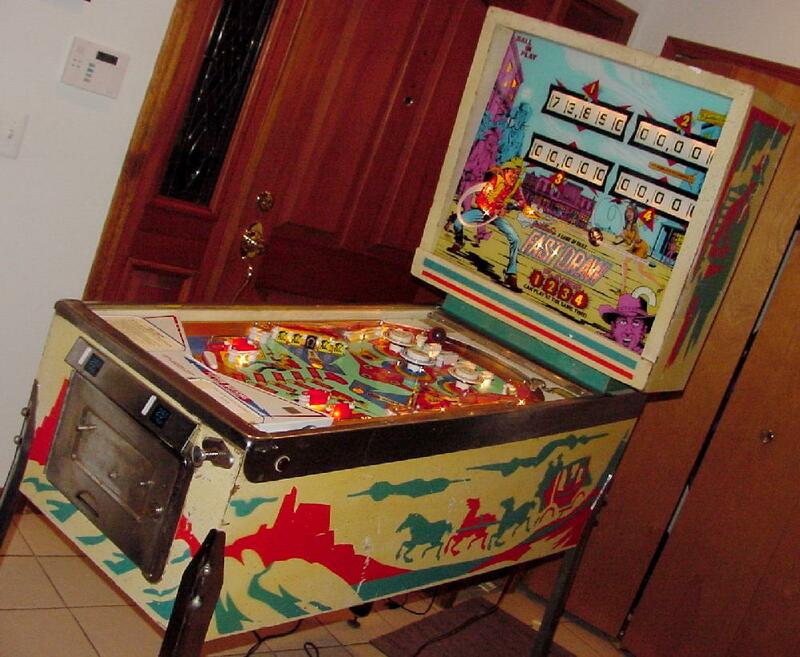 They made 8045 Gottlieb Fast Draw pinballs, and 2660 Gottlieb Quick Draw pinball machines.